You can book your train tickets to Sapa via online websites however it is a bit tricky finding a place to print these out and the tickets do take a little while to get sent to you via email. 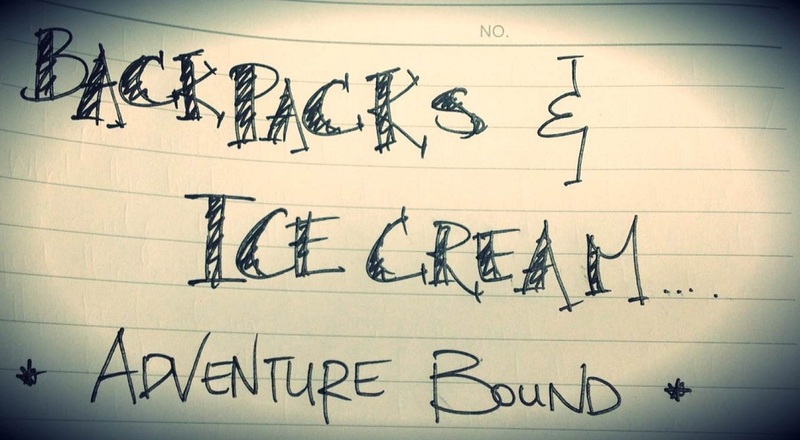 The easiest way (and slightly more expensive) is if a travel agency or your hostel can book this for you. They will book you onto the 'tourist trains'. Different companies own different cars on this train so depending on the company the price will vary. 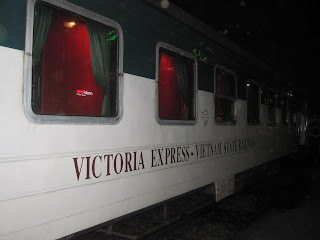 The more expensive cars I saw were owned by Victoria Railway Express and Sapa Adventure, if you had wanted to splurge a little bit. The difference is the quality of bedding, fixtures and condiments they leave you. We went with a low to mid-range company, which was still pretty great. The beds were comfortable and it was only a 4 berth with A/C. 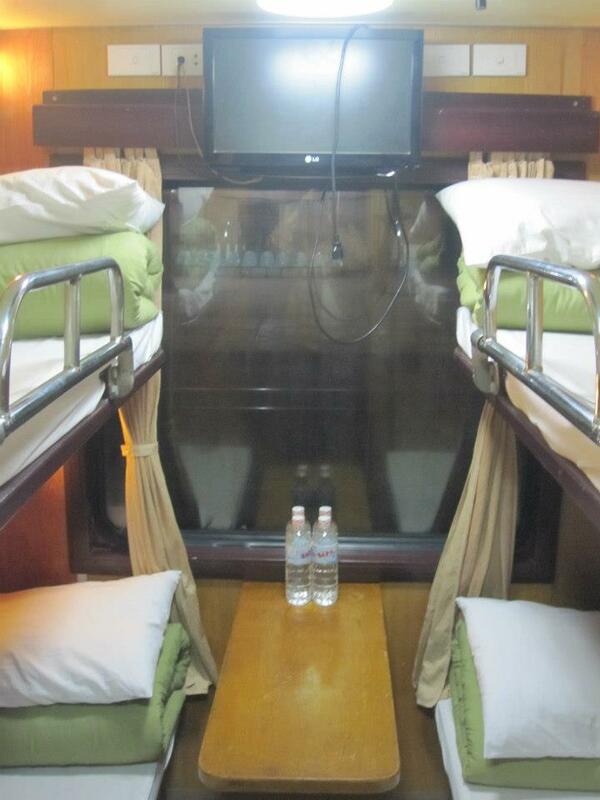 There was also a TV, which wasn't turned on, and the cabins seemed relatively new. They also offered free bottles of water. There are also outlets on-board if you did need to charge anything. The train leaves Ga Hanoi and arrives into Lao Cai, which you then take a transfer bus or shuttle to the town of Sapa (about an hour to two hours drive away). The trains are labelled differently. We travelled on SPC3, which left Hanoi at 8.50pm and arrived into Lao Cai at 7.55am. There are about 2 or 3 different train times to suit your schedule. The cost of each train equates to roughly USD$30-40 each way. 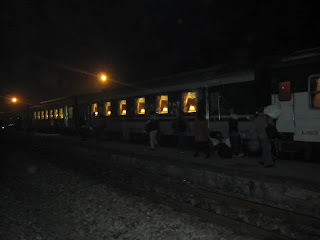 Overnight train from Hanoi to Sapa, and vice versa.